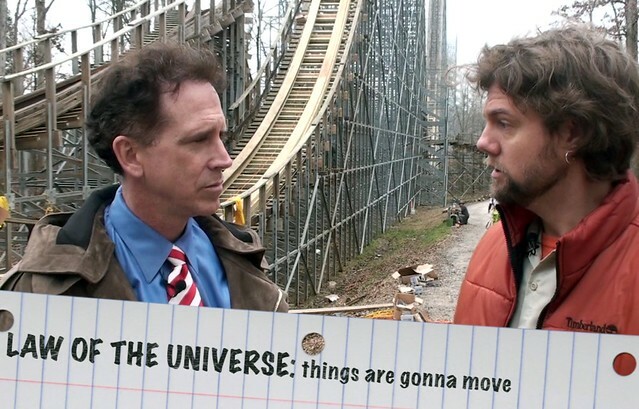 It's been voted the #1 Wooden Coaster on the Planet since it was one year old. All of our coasters get some TLC during the fall and winter months. This year, Voyage gets a little something extra. This video includes details about this year's track work, plus an update about the Timberliner trains that have been designed for Voyage. We hope this appeals to coaster enthusiasts and the general public alike. Any questions? Please post them below and I'll try my best to get you answers. Comments are welcome as well. Meanwhile, can't wait till opening day!